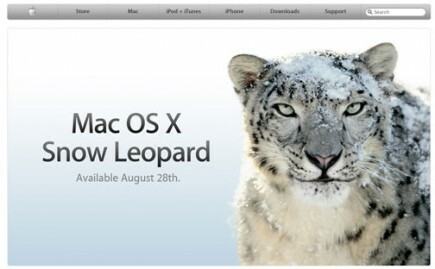 I imagine this leopard, chillin, enjoying a nice snowy day, when along comes an Apple photo crew. *FWAP*, they nail him in the head with a snowball, and as he looks at them with annoyance, they snap his picture. I can only hope that shortly after this picture was taken, the Leopard ate every single one of them.